Yesterday we left Punta Arenas early to make our good weather window. Two hours later we arrive at Frei Airbase, run by the Chilean military. It looks like we have landed on the surface of mars – nothing to see but sheets of ice punctuated by black basalts. Marko becomes very excited – describing himself as an ‘aviation enthusiast’ (plane spotter) he tells me that Frei Station owns a unique aircraft – a twin otter – in red! This – he says, is the principal reason he has come to Antarctica – hmm, well it takes all sorts. 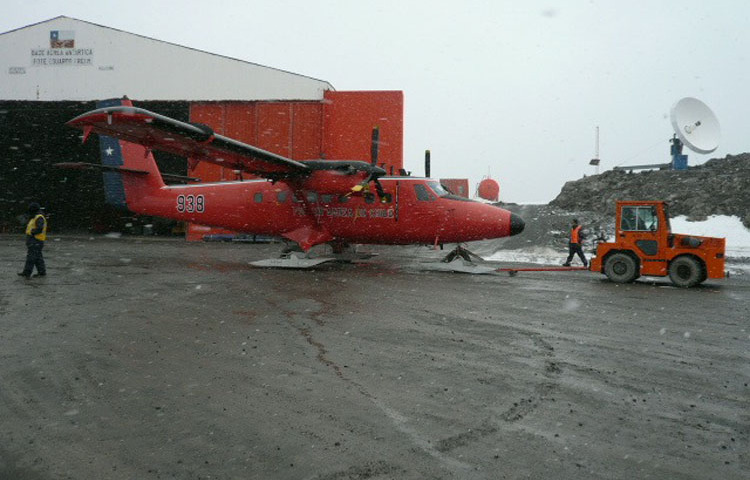 We make a short walk from the plane to the shore to pick up our zodiac boats – this takes around 15 minutes during which time the wind picks up, the temperature drops five degrees and thick snow blots out the landscape. 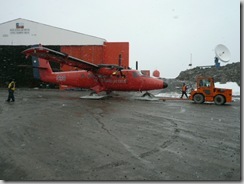 When we reach the airbase the red plane is parked out front – Marko is deliriously happy. Zodiac boats are a sort of cross between a rubber raft and a motor boat (the sort of thing that used to be the object of the annual Blue Peter appeal if your memory stretches back that far) and they are to be the staple of our shore landings each day. They transfer us in small groups to the ship (it feels like the tourist division of the Special Boat Service). In 1914, Earnest Shackleton travelled to the Antractic in the Endurance – an elegant broad beamed ship built of Norweigan pine. By comparison the Ocean Nova has all the charm of a car ferry. Nevertheless it has two hulls to keep out nasty icebergs, a comfortable observation lounge and a catering staff that turn out huge quantities of food. It also has wi-fi, although only equivalent to 56k – IT’S HELL OUT HERE PEOPLE! We now have to make the crossing from the South Shetlands to the Antarctic Peninsula – a nine hour crossing in open sea. This is considered to be the smaller cousin of the Drake Channel that we have just flown over. Nevertheless, we quickly hit a three metre swell and the ship becomes a heaving, slow-motion roller coaster. Given that most people on board have selected the flying option precisely because they are poor sailors, the place rapidly turns into a ghost ship with only the sounds of soft groaning and vomiting filling the hallways – rather like a youth hostel in Earls Court. Hardy creature that I am, I lie on my bunk and pray for death. This morning, however, is a different story. We have moved closer to the Antarctic mainland, the sea is calm and I feel vaguely normal again. Outside my window, an iceberg drifts past like an abandoned Henry Moore sculpture. I get up early and stick my nose outside to test the temperature. I have been on deck for about ten seconds when a humpback whale surfaces right beside the boat – arching through the water to give me a view of a grey back the width of a road and a spine like steel cable. 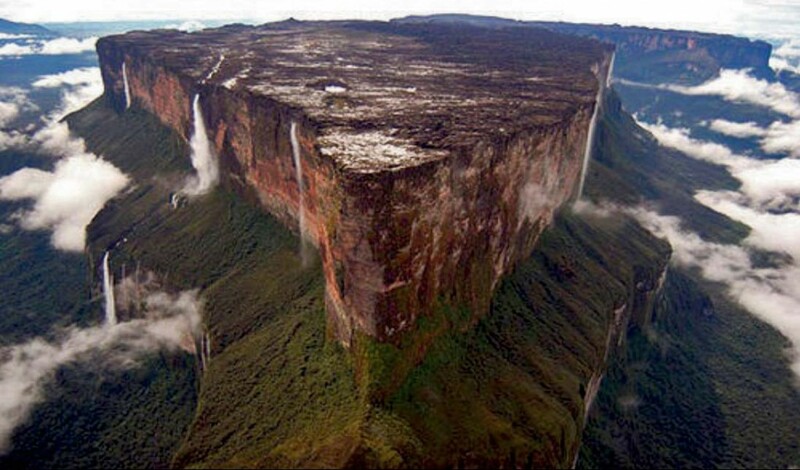 It flips over and is gone – looking around, the deck is empty, no one has seen it except for me. It feels like a personal welcome to the Antarctic. The whale experience Allan…. How wonderful…. Love reading your bloggs by the way.